Building a business isn’t easy. Even if you have a unique idea and the drive to create something exciting, balancing the creative and business-driven sides of your start-up is a challenge. In our annual cool ideas issue, we focus on start-ups that are doing different things, or doing things differently, and turning them into businesses. 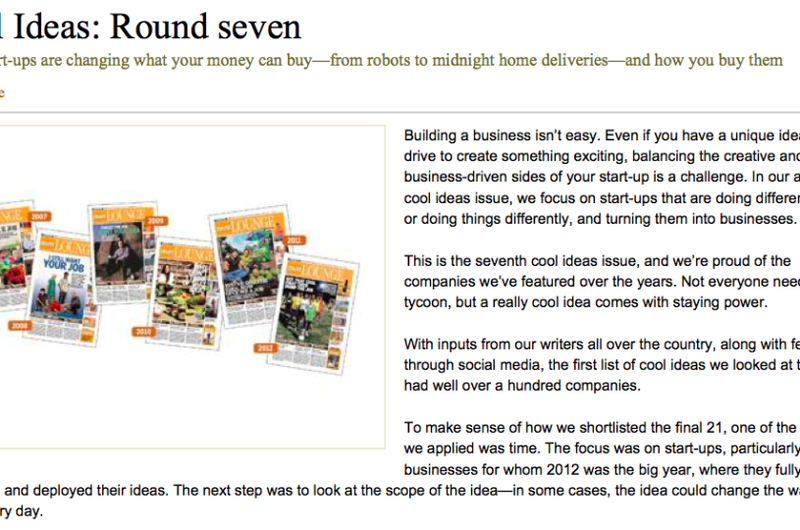 This is the seventh cool ideas issue, and we’re proud of the companies we’ve featured over the years. Not everyone needs to be a tycoon, but a really cool idea comes with staying power. With inputs from our writers all over the country, along with feedback through social media, the first list of cool ideas we looked at this year had well over a hundred companies.